The end of the season brought more joy than anyone in the Blues’ organization could have imagined. 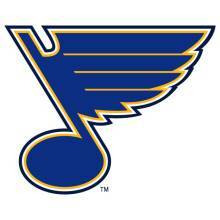 It was announced Wednesday morning that the sale of the St. Louis Blues, the Peoria Rivermen of the AHL and a “significant interest” in the Peabody Opera House, which sits just behind Scottrade Center, was approved by the NHL Board Of Governors by majority vote. It is believed that the price of the sale is around $130 million. Tom Stillman heads a team of investors that will be embarking on a new ownership venture. Stillman is the CEO of Summit Distributing, a successful St. Louis beer distributor. Stillman has been the minority owner of the Blues since 2007. The team has been up for sale since now former owner, Dave Checketts, announced in May 2010 that top investor TowerBrook Capital Partners was divesting their interest. Checketts tried to find another investor for months, then decided to put the entire organization up for sale. Chicago businessman and sports nut Matthew Hulsizer came the closest to purchasing the team; after signing an exclusive purchase agreement with Checketts and the Blues, the NHL enforced a December 31, 2011 deadline to complete the deal. Obviously, things did not pan out for Hulsizer. The better alternative came to light. Stillman is a local businessman who has more than just an investment to protect. Summit Distributing is a St. Louis company that is known for its reliability and ableness to distribute beer in a timely manner. Needless to say, Tom Stillman has a reputation to protect. 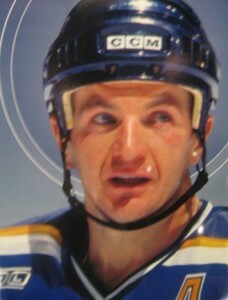 Al MacInnis has been the Vice President of Hockey Operations for the Blues since 2006. Stillman’s first expected move is to announce that former Blues great Brett Hull will have a management position inside the organization. Hull, a Hall of Famer, is the Blues’ all-time leader in regular season goals (527), game-winning goals (70), power-play goals (195) and shots on goal (3,367). Hull served as a Co-General Manager for the Dallas Stars from November 11, 2007 to May 31, 2009. It is expected that President John Davidson and current GM of the Year nominee Doug Armstrong will remain in their current roles. With former Blues defenseman and Hall of Famer Al MacInnis already in a management position, Brett Hull will be another recognizable face in the front office. Fans usually react better to their former idols helping run things (see the Los Angeles Kings and Luc Robitaille). Bringing in Hull will only add to the homely atmosphere that Stillman is looking to create within the organization. This all means nothing if the product on the ice is not up to par. Stillman will not be the George Steinbrenner of the league. He does not come in with money oozing out of his pockets. This may be a turnoff to many fans who just want this team to spend spend spend, but he has the local dynamic. He has been with the organization for five years as a minority owner and has turned Summit Distributing from a local wholesaler to the second largest beer distributor in Missouri. He has plenty of ties with St. Louis and will be looking to make this team profitable for a much longer time than an out-of-town owner might have. The reason; Stillman is in this for the long haul while former out-of-town owners (Checketts, Bill Laurie, etc) were there to make a quick buck and turn the organization over for a quick profit. A hometown owner could bode well for GM Doug Armstrong and the immediate future of the St. Louis Blues. 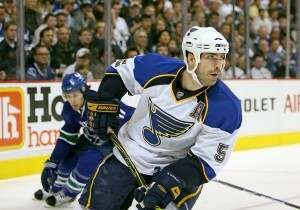 With veteran defensemen Barret Jackman, Carlo Colaiacovo and Kent Huskins all upcoming unrestricted free-agents, the Blues will have some holes to fill on the back end. Veteran forwards Jason Arnott, Jamie Langenbrunner and Scott Nichol are also unrestricted free-agents come July 1, meaning a large veteran presence on the ice and in the locker room could be seeking other employment options. Restricted free-agents include T.J. Oshie, David Perron and Chris Stewart; three forwards that could be considered part of the core of the franchise’s offense. Armstrong will need a little wiggle room financially to make the decision as to how much each player is worth to the team. One of the biggest question marks heading into the off-season is how the team reacts to their Semifinal sweep at the hands of the Los Angeles Kings. The Blues, after posting 109 points in the regular season to capture the Central Division Title, were outscored by the Kings 15-6 in the four games played. The Blues received just 2 goals from what most would consider their top-6 forwards (Backes, Berglund, McDonald, Oshie, Perron and Steen). The Blues’ biggest concern throughout the entire season, as well as since the lockout, has been who will score the timely goal for the Blues on a consistent basis. This will be circling through Armstrong’s head all summer long. All of these problems will face an answer now that an owner is in place. More importantly, the new owner will be concerned with how the team will gel as well as how profitable it can be.